A baby monkey dropped down onto the far end of our table from the thatched roof above, scampered four or five feet towards us, grabbed a crust of bread lying there and chattered off, noisily. We both laughed at its apparent pleasure. “I’m going to practice for a while. Would you like to come and have a listen?” George asked. In the relaxed conversation that followed, he told me that his wife Pattie had learned transcendental meditation first and then got him interested. The Beatles’ interest in meditation and spirituality had begun several years before Rishikesh. George was influenced by the writings of the Indian scholar and sage Vivekananda and had been exploring the spiritual aspects of life for some time. As he found exciting books or passages, he would share them with John, Ringo, and Paul. As they delved into deeper spiritual questions they found drugs less capable of helping them find the inner answers they were looking for. Earlier, smoking marijuana and hashish, and taking LSD for fun and for exploring consciousness, had brought some positive results manifested in their songs. In time, though, drugs became somewhat of a dead end. I had experienced this as well. I asked him what meditation was like for him. He was quiet for awhile, and thoughtful: “Meditation and Maharishi have helped make the inner life rich for me. The meditation buzz is incredible. I get higher than I ever did with drugs. It’s simple, the vibration is on the astral plane, and it’s my way of connecting with God.” He was silent for a moment, and with a profound modesty he added, “Like, we’re the Beatles after all, aren’t we? We have all the money you could ever dream of. We have all the fame you could ever wish for. But, isn’t love. It isn’t health. It isn’t peace inside. Is it?” He gave me a dear, even loving smile. Neither of us spoke for several minutes. Sometimes, it’s only much later that we realize the impact another person has had on us. I’ve never forgotten his words. 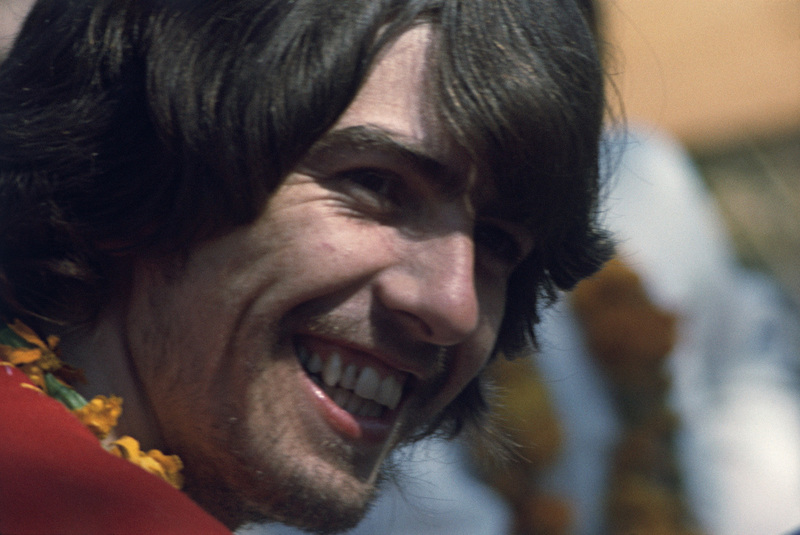 Only years later would I realize that, in that moment, George changed my life. He was one of my heroes and he was pointing the way, telling me where to ‘find myself’. Not outside myself, in money or fame or anything else external, but within myself. He was also telling me that that’s also why he and the other Beatles were there—to find something deeper within themselves. In time, I would come to understand that it’s a universal journey: To know ourselves, to like ourselves, profoundly, to be self-realized, we must journey within. George and I sat quietly a while longer, and then we went out into the warm winter sun.